Is your food making you an addict? The issue in todays modernized food chain is that much of the misinformation and danger associated with even the most seemingly harmless, inconspicuous of food stuffs has been very cleverly hidden from us! This coupled by an environment now contaminated with toxic chemical cleaning products, waterborne pre-digested drug residues (in tap water), persistent organic pesticides (in sprayed foods) and so on, has left us open neurally to addictions and lowering of our powers of temptation resistance and conscientiousness, in order to cope, or to reasonably comprehend issues with inconspicuous foodstuffs, that we are TOLD are good for us. Current research suggests that even Fluoride, yes thatâ€™s right; the stuff they put in your very drinking water, can also have a Neural impact that can leave you open to addiction and an incapacity to ascertain and comprehend that you have an addiction to these specific foods. Whilst we do need some form of water based anti-bacterial, anti-microbial function in our modern day water supplies, there should be a clear message to people that filtering water before consumption is a necessity, only in my opinion. Why are we getting obese and more addicted to these processed foodstuffs, such as sugar and certain grains? Why are there now 1 in every 2 people within modern westernized societies now with some form of cancer? The biological robustness in the neural substrates of sugar and sweet reward may be sufficient to explain why many people can have difficulty in controlling the consumption of foods high in sugar when exposed to them on a daily basis, as I mentioned the neural interference from water borne fluoride is also a factor. Our sugar consumption, as a society in total, has been altered somewhat drastically in the last century. Americans in the US consume close to, and sometimes more than, 156 lbs. of sugar per year per person [Source: USDA]. Thatâ€™s Â¼-Â½ lbs. of sugar per DAY! Most of it comes from refined sources, in forms of table sugar, baked foods, packaged foods, sodas, sports drinks, etc.. not to mention that it is added to breads, pastas and salad dressings among other things. Sugar as well as refined carbohydrates, such as white (wheat) flour that is so common in baked goods, tend to create increased acidity in our tissues, which leads towards an anaerobic [ineffective] metabolism. Excessive intake of such sugars and refined carbohydrates leads to changes in our blood, making our blood platelets stick together, increasing blood viscosity (thicker blood), which contributes to cardiovascular risk and diseases. Not to mention that acidic physical environments are perfect for bad bacteria (diseases) to thrive, and encourage the growth and spread of various cancers. An increase in blood sugar level will have a weakening effect on the adrenal glands, which produce the stress hormone cortisol. Elevated levels of Cortisol have a negative physical effect; given time, it can lead to osteoporosis, menstrual problems, fatigue, irritability, high blood pressure, depression, obesity, suppressed thyroid function and other problems. 1. After a month, mice had increased opioid response from sugar. (Opioids trigger motivation and reward, and controls what our bodies want and like). A similar opioid response was triggered when mice were exposed to heroin and cocaine. Cocaine is so powerfully addictive, that users who quit often revert back to their addiction and become even more hooked than before. After a month of sugar binging, the rats in the Princeton study were deprived of sweets â€œcold turkey.â€ When they were allowed to consume sugar again, they did so at a much greater rate. 2. Mice given sugar experienced â€˜withdrawalsâ€™ through low levels of dopamine and anxiety. Mice displayed chattering of teeth and were reluctant to leave their homesâ€¦. Except if it was to get more sugar. 3. Mice that were exposed to sugar, drank significantly more alcohol than those that didnâ€™t. * Dopamine is a hormone that promotes reward, habit, withdrawal, craving and motivationâ€¦. So in this context, dopamine motivates you to seek out sugar (or cocaine) by creating cravings and reinforcing the action by giving you a rewarding high. The most profound results from this study were the long term effects that sugar had on the mice. After time, their dopamine receptors became used to the hit of sugar, and no longer had the capacity to release the happiness hormones. So, the mice went back to the sugar, searching for that same goodness that they knew the sugar could bring. Theyâ€™d consume more and more until eventually, they did their dose and were satisfied (short term). Cocaine and Sugar, are they similar? Just how similar are the two substances? The molecular structure of table sugar, or sucrose, is C12H22O11. This means it contains 12 parts carbon, 22 parts hydrogen and 11 parts oxygen. Cocaineâ€™s molecular structure is C17H21NO4. This means it contains 17 parts carbon, 21 parts hydrogen, 1 part nitrogen and 4 parts oxygen. The difference between sugar and cocaine is 13-atoms, not counting that cocaine-unlike sugar-contains a nitrogen atom. Thirteen atoms might appear to be a miniscule difference when you consider just how incredibly tiny atoms are, but, believe it or not, it can still make a huge difference. Moreover, sugar is a carbohydrate whereas cocaine is an alkaloid. Though a layperson might look at the two substancesâ€™ chemical compositions and see some similarities, according to Professor Bill Bordeaux, who teaches chemistry at Huntington University in Huntington, Ind., theÂ two substances are very different. Professor Bordeaux explained, carbohydrates serve as fuel to provide the needed energy for a living organism to perform non-spontaneous functions (such as movement, production of proteins and other cellular components). Alkaloids exert their effects neurologically and are not food, per se. Therefore, the fates of ingestion of a carbohydrate and an alkaloid are quite different. However food deprivation is also sufficient to precipitate opiate-like withdrawal signs (Avena, Bocarsly, Rada, Kim and Hoebel, unpublished, Colantuoni et al., 2002). This withdrawal state involves at least two neurochemical manifestations. First is a decrease in extracellular DA in the accumbens, and second is the release of acetylcholine (ACh) from accumbens interneurons. These neurochemical adaptations in response to intermittent sugar intake mimic the effects of opiates and most likely alkaloids. My argument would be that, perhaps a person hadn't or hasn't "thrown away a family or career" due to a direct drug addiction per se, but I have personally seen so many people slip into depression, obesity or poor health and often wondered about an individuals sound state of mind, as most today, it seems, are also addicted to coffee sourced caffeine (200+ chemicals including Arsenic and municipal tap water VOCs) PLUS Sugar. Is it any wonder we have so much hormonal imbalance and stress in our modern day society, this in itself is tantamount to "impact" on a family and or career in some cases, hence the current divorce, obesity and stress rates we generally see today. I am not in any way advocating, or not, marriage, simply pointing out the direct impact of certain dietary and environmental factors on the current social model "imposed" on us today. Whether or not the current Socioeconomic model is best suited to the average individual is another topic for discussion. Grains are they good for us? Oats are good for you though right? Oats contain a gluten-related, opioid-like protein called Avenin. To complicate matters, Avenin, like gluten, also has lectin-like activity. Oat bran may decrease absorption of medications. There are reports of decreased absorption of HMG-CoA reductase inhibitors and iron with oat bran ingestion. Recent research has shown that tincture of fresh (undried) Oat can facilitate withdrawal from tobacco and opium addiction. The alkaloid lobeline, which is found in Lobelia, has a chemical structure and physiological effects that are similar to nicotine, and is believed to mask the withdrawal symptoms of nicotine addiction without itself being addictive. Uses: Indicated in the treatment of tobacco (nicotine) addiction. Lessens the desire for nicotine, supports the nervous system and the adrenal glands, and has a cleansing and restorative action on the lungs and bronchi. In one study, older men ate about 1 1/2 cups of oats for 12 weeks. By the end of this period the men eating the oats had lower small (bad) LDL, higher large (arguably good) LDL, lower triglycerides, lower VLDL, a better total: hdl cholesterol ratio, and lower fasting insulin. This study did the same thing with wheat. Wheat made most of these values worse. In another study, adding oats to the diet of hypertensive and hyperinsulinemic people led to lower blood pressure, lower LDL, lower triglycerides, and a trend towards improved insulin sensitivity. Compared to a control diet, oats were better for blood pressure and insulin sensitivity. The control diet basically had wheat instead of oats. Do these studies mean oats are good? Not exactly. Compared to food like wheat, almost certainly. But how are they compared to typical paleo fare? I haven't been able to find studies comparing oats to things like fruit, or tubers so I can't say for sure. Oats seem like an "ok" food, but I suspect these foods would generally outperform oats. Phytic acid is the main problem with oats. On its surface, oats are a good source of nutrients. But they have tons of phytic acid (and some other anti-nutrients), so many of the minerals in oats will have reduced absorption. This includes zinc, iron, calcium, magnesium, and copper. So if you're eating a lot of oats I'd be really careful to make sure you areÂ getting enough of these minerals, either from food or supplement if necessary. Also people who have problems with gluten or their intestinal health, may produce a negative outcome. A controlled trial on recovering celiac patients found that those eating gluten free oats increased intestinal problems like diarrhoea and intestinal inflammation. My own experience as a gluten intolerant is that oats are bad for my belly. I also know a number of people with digestion issues not doing well on oats. How is your gut health? Finally, as someÂ experts suggest, if you think you're addicted to oats, cut them out of your diet for 30 days or so. See how you feel. You can see if you feel better without them and hopefully figure out if you have a legitimate addiction. Make sure you're not ending up short of calcium, iron, magnesium, zinc, and copper. For all the reasonable benefits Vs negatives, what most people will likely find, is that in conjunction with the external impacts we face today as mentioned at the beginning, including Fluoride et al, the consumption of these addictive opioid like processed grains, are likely to lead to further addictive behaviours. 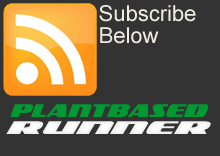 I would be interested in any thoughts and if you have an addiction, please contact me contact@plantbasedrunners.com I too had an addiction, which I overcame in 4 days. This entry was posted in blog and tagged addiction, addictions, alkaloid, drugs, food, hooked, opioids, research, sugar, sugars on by Gazza.